Former heritage flour mill, including industrial silo structures, for mixed uses and community benefit. 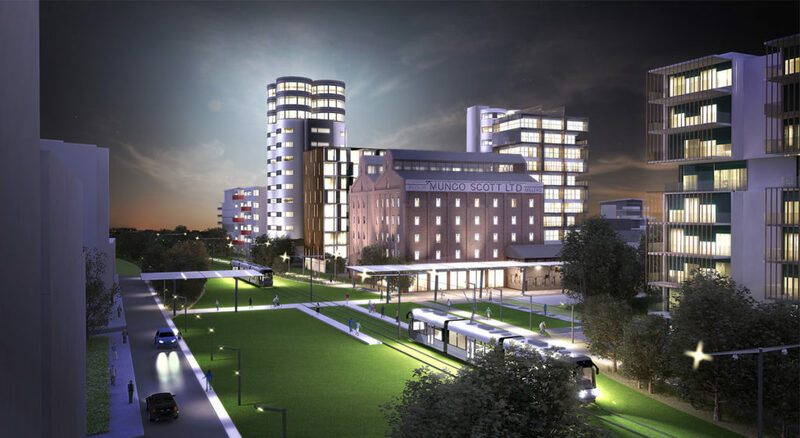 The site will provide various high rise and midrise new residential facilities accommodating 233 apartments in the emerging suburbs of Summer Hill and Lewisham in inner-western Sydney. The vibrant mix of proposed commercial uses such as Mungo Scott office levels, cafes, studios and small retail opportunities. Centric Engineers Mechanical Services provided high quality construction design and documents for the valued client “Richard Crookes Construction”.